PIEDMONT, WV – Diane Elaine Llewellyn (Smith), 61, of Piedmont, West Virginia, passed peacefully on February 5, 2019, surrounded by her loving family following a long battle with ovarian cancer. Born March 26, 1957, in Cumberland, Maryland, Diane was the eldest child of the late Charles Evers “Buck” Smith Jr. and Glenna June (McDonald) Smith and was a granddaughter of the late Charles Evers Smith and Gladys (Dawson) Smith. She was recently preceded in death by her husband, Dwight David Llewellyn, in October 2018. 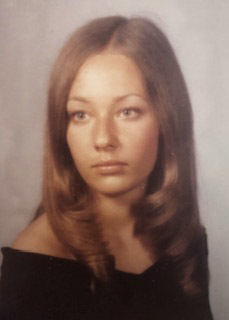 A graduate of Fort Hill High School in 1975, Diane earned Associate of Arts (A.A.) Degrees in Horticulture and Computer Science from Allegany Community College. Diane’s artistic and creative abilities were discovered early in life during high school while working as a florist at Flowerland in Cumberland, MD. Her beautiful floral creations and arrangements have been admired at weddings and events throughout her entire life. Diane cherished her recent time at Flowerland creating with her daughter, Rachel, who is following in her mother’s footsteps. Diane continued to develop her talents as a painter and decorator in the home business, Pine Country Crafts, she built with her late husband. She was a phlebotomist with the Western Maryland Health System for 17 years and recently retired as an economic service worker at the West Virginia Department of Health and Human Resources. Diane loved to watch her daughters dance and assisted Lori Ann’s Dance Reflections and Compelled 2 Dance studios in Keyser, WV as a stage prop designer and seamstress. She was always busy making flags and tending to alterations while her daughters were active in the Keyser High School Band and Color Guard. Diane had also been active at the First Baptist Church in Westernport, MD, where she had served as a Sunday school teacher, bible school director and youth group leader. A generous and kind-hearted woman, Diane was loved by all who knew her and will be profoundly missed. Diane is survived by her daughters, Shayla and Rachel Llewellyn, of Piedmont, WV; granddaughter Kieran Elaine Caldwell, whom she dearly loved; stepmother Maria (Kaminsky) Smith; sisters Julie Smith and fiancé Joe Marken of Wiley Ford, WV, Sonja Garrett and husband Dale of Overland Park, Kansas, and Christa Rossi and husband Mark of Verona, New Jersey; brothers Charles “Chuck” Evers Smith III and wife Janine of New Market, MD, and Theodore James “TJ” Smith and partner Kim-Laura Boyle of Sunapee, New Hampshire; along with many nieces and nephews. A memorial service will be held at First Baptist Church in Westernport, MD on Monday, February 18, 2019, at 1:00 pm, with the Reverend Thomas Caldwell officiating. A reception will follow—all are welcome and encouraged to attend. A private committal service will be held at a date to be announced later. Honoring Diane’s request, in lieu of flowers, contributions may be made to Llewellyn House Account at ACT 1st Federal Credit Union in LaVale, Maryland to aid Diane’s daughters in retaining their Piedmont family home, built in 1914 by Charles Evers Smith. Diane’s family members extend their gratitude to her friends and the community that supported them during Diane’s final years. Deeply appreciated is the care received from Dr. Neil Rosenshein, Dr. Michael McCormack, John Marsh Cancer Center, Mercy Hospital, as well as her in-home nurses Jennifer Derham and Jennifer Rosedale. A special thank you to the Potomac Valley Hospital nursing staff for keeping Diane comfortable in her final moments.